We aren't a bicycle touring company. 1) What we belive in. 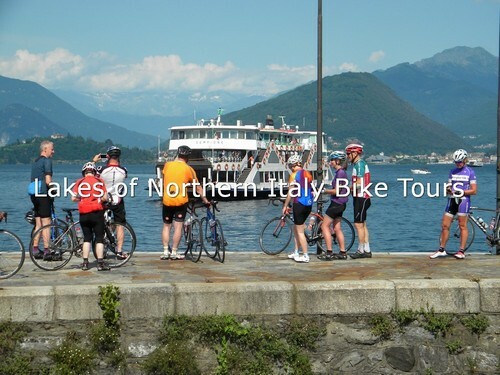 We believe in the idea we can transform the Northern Italy’s Lake District in a recreational bicycling area for riders who are coming from all over the world and in a holiday place for non-riders as well. 2) We’re in love with biking. We love to ride by bike for fun without forgetting to enjoy what our area has to offer: narrow climbs, fast downhills, age-old villas, parks, churches and hermitages which were built from Sixteenth Century to the Nineteenth Century, exibitions, history, art, culture. Not only biking here. 3) ride like a local. 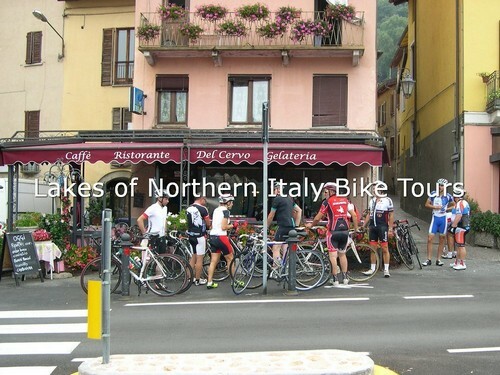 You can stay in our hotel and you can experience the Northern Italy’s Lake District like a local cyclist. 4) Biking gets us closer. Biking brings all of us together, and helps us find a common point of view. We believe that one of the greatest sources of pleasure is what happens during a ride and around a table when you'll come back at the hotel for the afternoon buffet snack . 5) Our passion has became our job. Our passion has become our job, so we can dedicate our daily lives to research, to create and to improve our own tours and services for non-riders as well. 6) Our target audience is everyone. Our guests come from many backgrounds and have different levels of cycling experience: from the casual cyclist to the serious amateur cyclist. We'll suggest you different options each day. You can choose a challenge ride or a more relaxed option. Our guests are never abandoned and the assistance is fundamental part of our rides. 7) In this we’re together. We love to listen to our guests, both cyclist and non-cyclist, and to learn by them, so we can together improve our overall offering each year. 8) Your trust is earned every day. In all ways, we promise to be scrupulously honest. Our end goal is to have you as our guest for a lifetime.